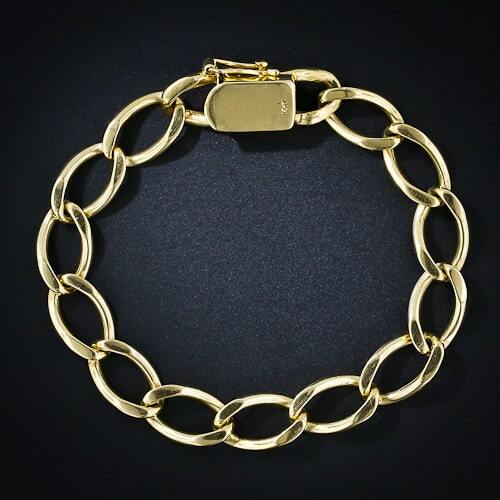 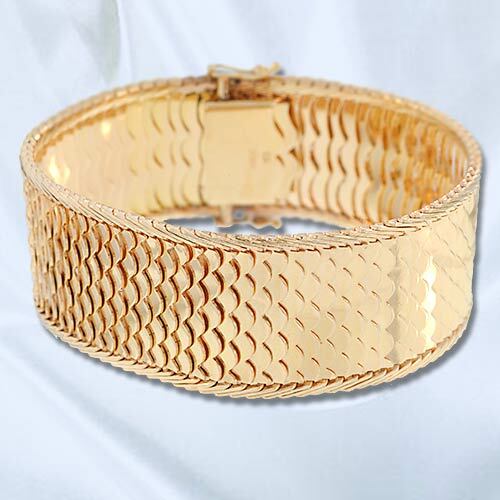 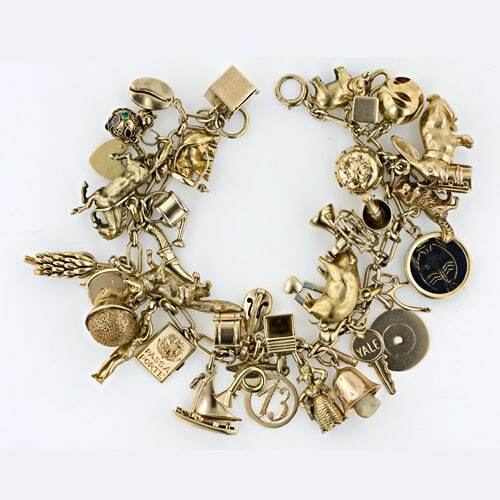 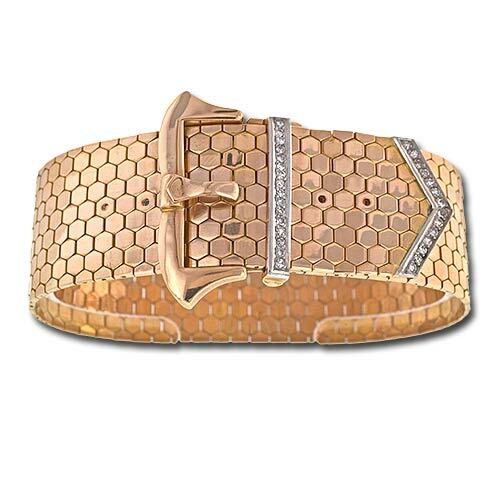 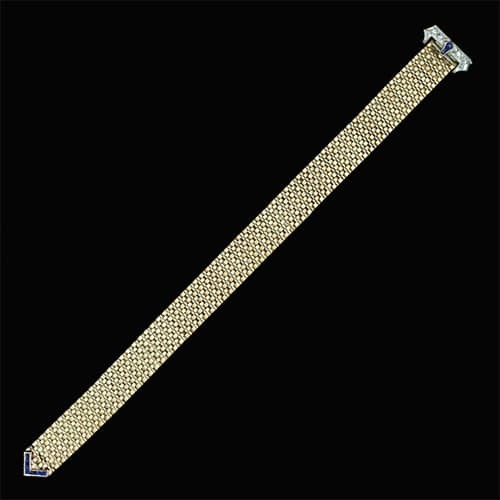 A bracelet is any jewelry item designed to be worn on the arm, primarily the wrist. 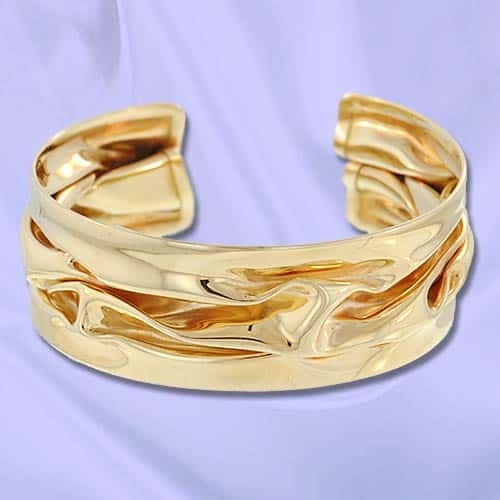 Bracelets can be made of metals such as gold, silver or base metal or carved from gemstones such as jadeite, coral, onyx and other natural materials such as wood or man-made materials like bakelite. 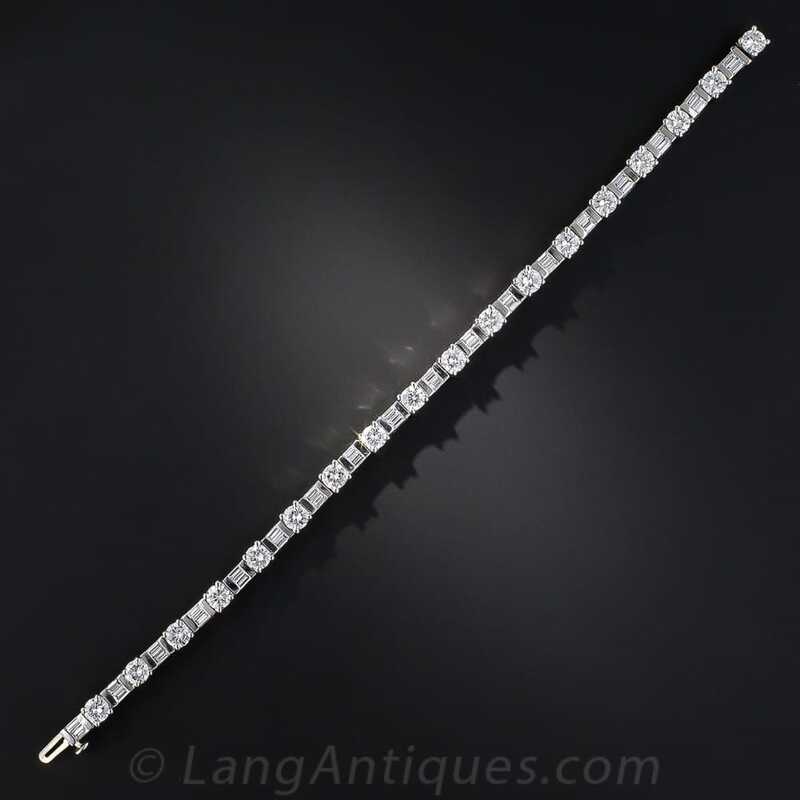 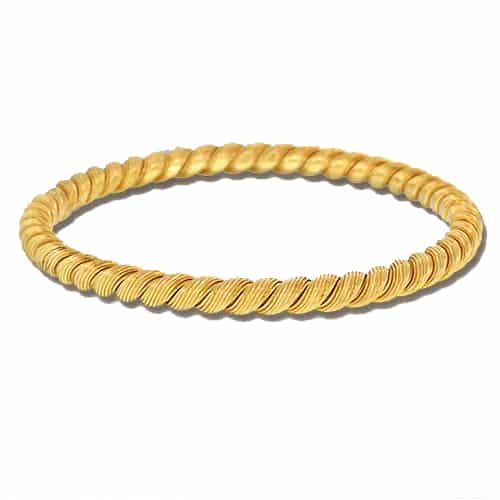 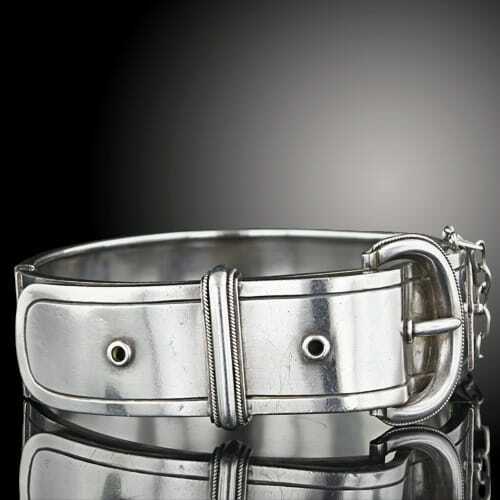 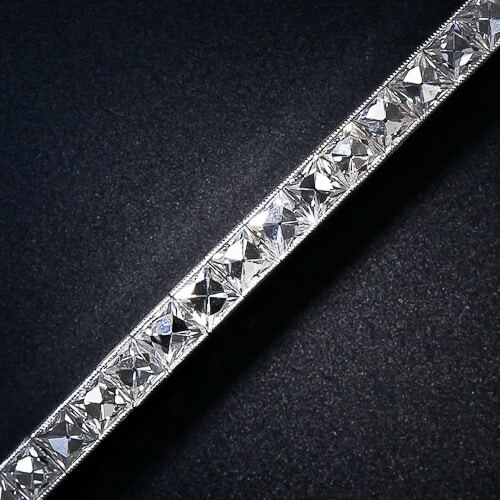 Any jewelry making technique can be employed in the creation of a bracelet such as stone setting, engraving and enamelling; they can be composed of links or be completely solid. 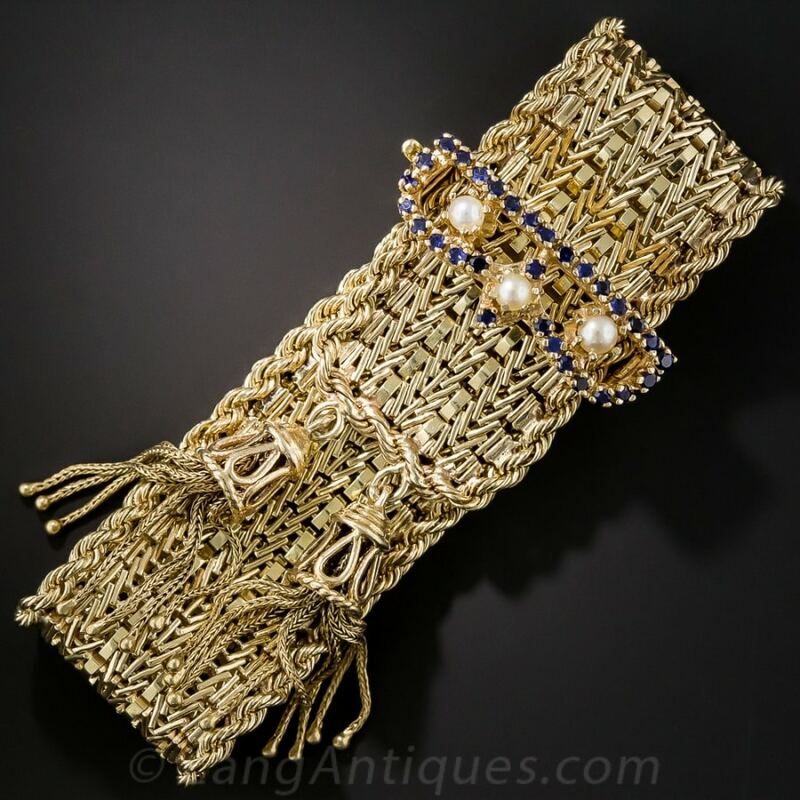 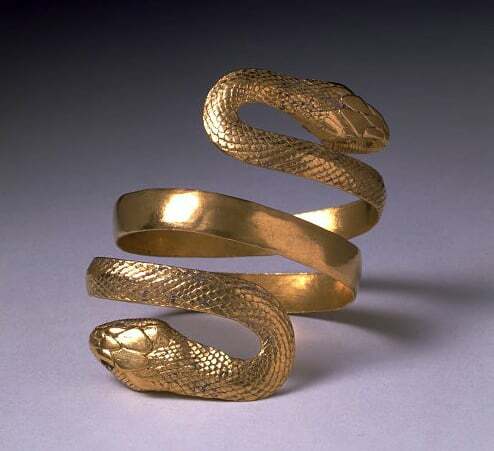 Bracelets were one of the earliest forms of adornment and are found in all civilizations throughout history. 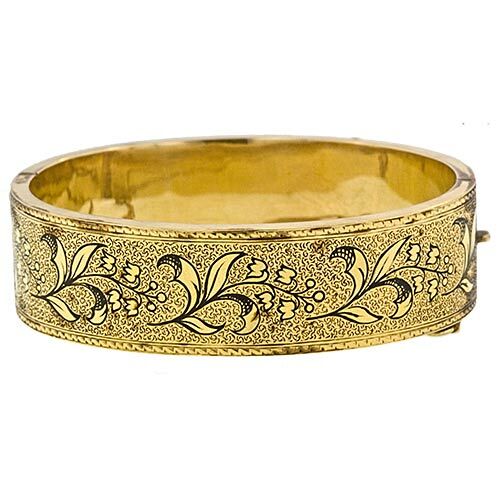 Victorian Bangle Bracelet with Tracery Enamel.